Hello everyone and welcome to the second installment of my entries in the 12 Tags of Christmas Funkie Junkie Style sponsored by The Funkie Junkie Boutique. 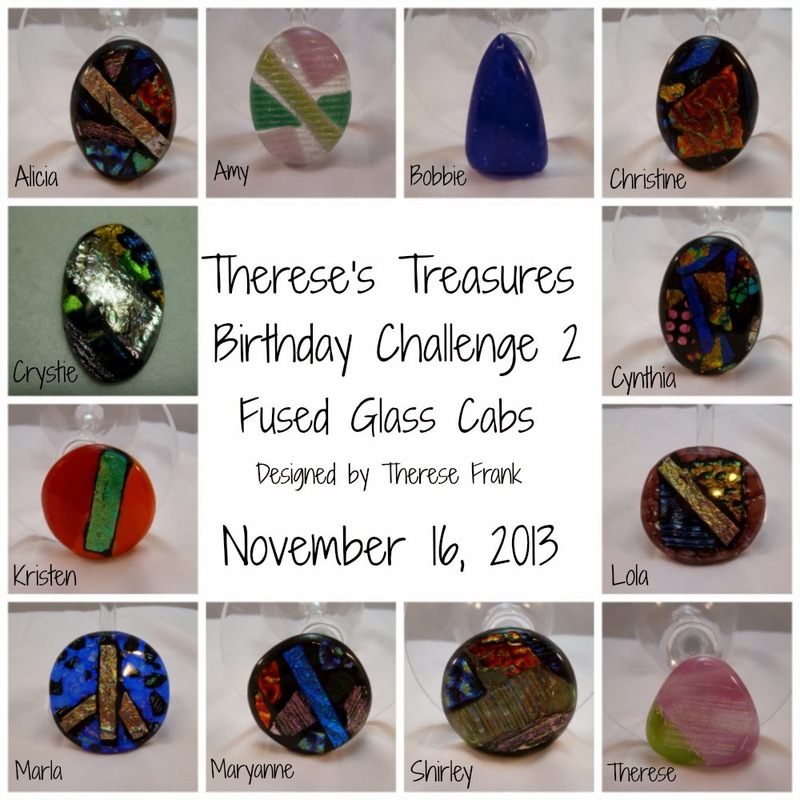 Linda is up to week six of her tag challenge and I'm up to number 2!! Behind, as usual!! But, the challenge is so much fun. You just have to be inspired by something Linda does with her tag for the week. And, it's really easy to be inspired by her work. So, here is my second tag. 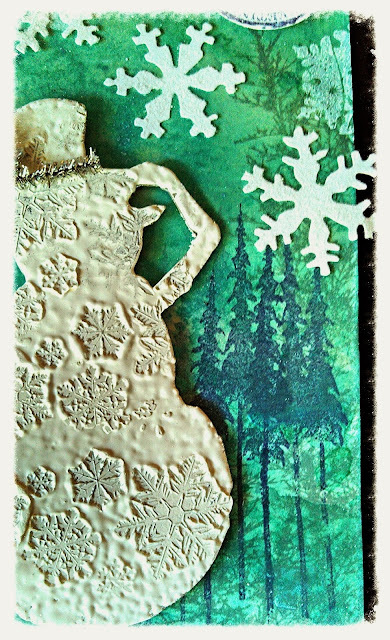 My inspiration was Linda's die cut deer which she embossed and then stamped into. I used the snowman die and embossed it with enamel embossing powder and filled in with white detail embossing powder. 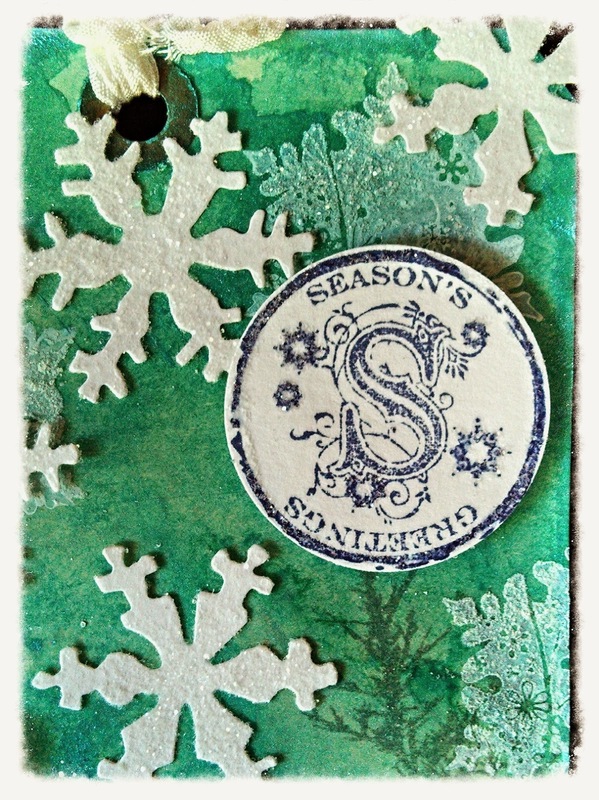 While the embossing was still warm I used the Tim Holtz snow flake stamp to stamp into it. I put some tinsel around his hat and he's ready for the holidays! For the background I dredged a #10 tag through Distress Stain in Peacock Feathers and Evergreen Bough with a few sprays of Turquoise Perfect Pearls spray. 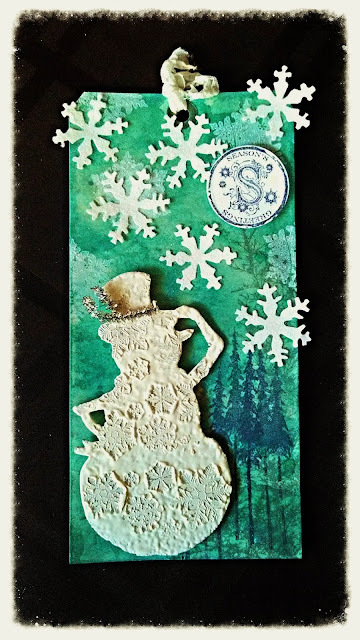 I then used the evergreen bough from one of the Tim Holtz stamp sets and Iced Spruce Distress ink and stamped along the side of the tag. I stamped a shadow to fill in the area by stamping twice with the same inking of the stamp. It's a technique that Dyan Reavley uses and I really like the way the shadow fills in and give dimension to the area. Then I took the three evergreens stamp from one of Tim's sets and did the same thing only I used Chipped Sapphire DI. 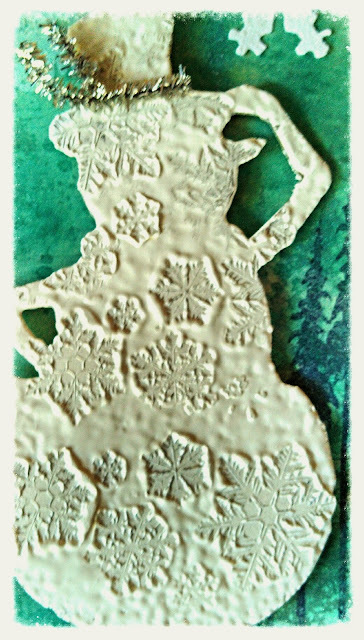 I used a snowflake stamp and white pigment ink to stamp some snowflakes falling around Mr. Snowman! While they were still wet I sprinkled them with Rock Candy Distress glitter. I cut some snowflakes from white card stock and sprinkled them with Rock Candy Distress glitter and glued them down. 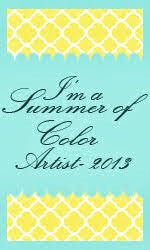 The sentiment was stamped on white CS in Chipped Sapphire and was dusted with Rock Candy glitter. 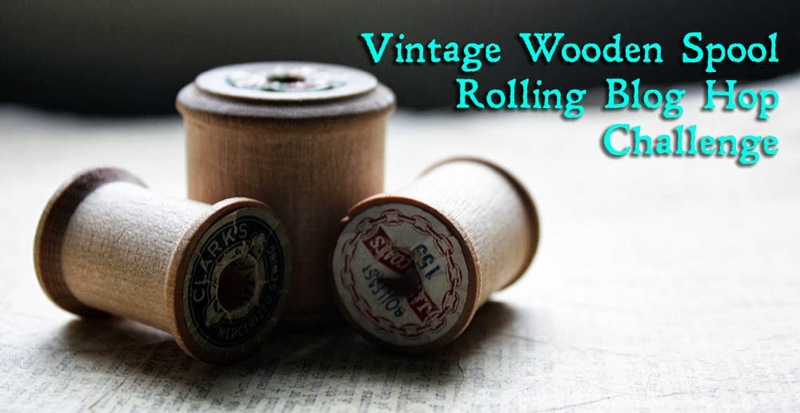 A wrinkled bit of seam binding finished the tag. You can see the shadow stamping here. You can see some of the glitter which really adds to the snowy effect. Well, there is the second of my tags. 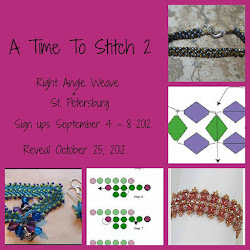 I hope you'll visit Linda's blog and see her gorgeous creations. I adore this snowman! The snowflakes stamped in his fluffiness is fantastic! That is a really cool tag Maryanne I love it especially the snowman he is adorable. Love your tag!!! The textured snowman is amazing!! Very cool colours too! And you know you can easily take your time, still ages until December 22 :) Have a good week!! Fantastic, Maryanne! Gorgeous colors and background and I really love the embossed snowman with the snowflakes imprinted on him. That technique looks really cool in white. Terrific take on tag #2. Thanks of playing! Love this tag. What a fun challenge. I love the embossing on the snowman and how you placed some of the snowflakes off the edge of the tag!